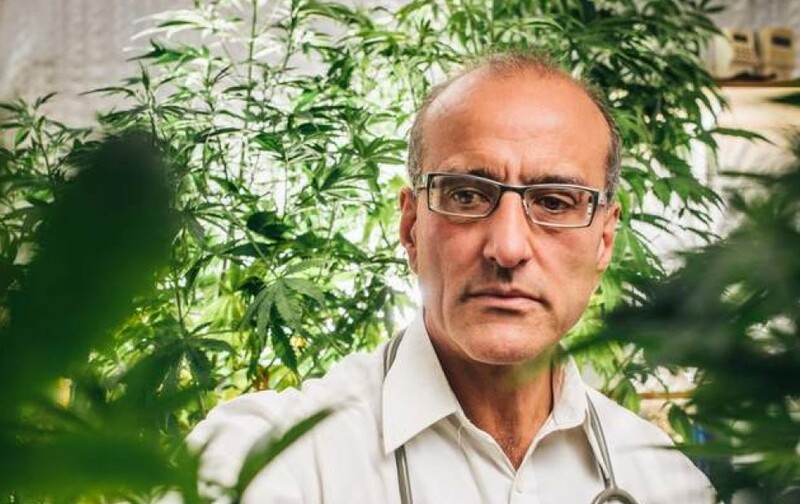 Regular visitor to Nimbin’s MardiGrass and medical cannabis advocate, Dr Andrew Katelaris, will appear in the Hornsby Local Court today after being arrested yesterday. Chief Inspector David Hogg confirmed to Echonetdaily that Dr Katelaris had been charged with a number of offences including drug possession, having an indictable quantity of cannabis, and having proceeds of crime. On Sunday Dr Katelaris featured in a Channel Seven report in which he was shown giving cannabis oil to a four-year-old boy, who has since been taken from his parents. He had spent the weekend at a Hemp Industry forum at Rosehill in Sydney, where police arrived on the final day after reports that a large crop of cannabis was on display. No arrests were made as the ‘cannabis display’, which consisted of low-THC plants for hemp production, had been approved prior to the forum. Dr Katelaris has been a staunch advocate of medical cannabis, having been researching its effects since 1990. He has been arrested numerous times in the past and openly admits to supplying CBD dominant cannabis to over 50 children with serious seizure disorders. Just last year the Health Care Complaints Commission (HCCC) determined Dr Katelaris, who also holds a doctorate, had been involved in more breaches of a code of conduct for non-registered health professionals after injecting two women with cannabis oil to treat ovarian cancer. The Illicit Doctor will have to move to Nimbin – won’t he & the patients will come. It is amazing what the Federal & State governments spend the monies from the public purse on. Where is Our Malcolm Turnbull’s attention at such a critical time in the Economic History of Australia ? Where is the attention of the Premier of New South Wales at such a critical time of Economic Downfall ? They are too busy – chasing little people who are trying to help others. Malcolm Turnbull was warned by Bill Shorten to reign in the – “free for all real estate gambling frenzy” – & he chose not to listen – ha, ha, ha, Malcolm. Instead he has spent his time in office trying to pound Australian parents into the ground for the love of his Pharmaceutical buddies. A Government is there to look after the well being of the nation. They are not in office as sales personnel for Corporate Interests. Maybe you didn’t get the memo. “They are not in office as sales personnel for Corporate Interests.” OF COURSE THEY ARE in office as sales personnel for Corporate Interests since Billy Hughes warned the Australian people in 1919. “Bill Shorten to reign in” ha, ha, ha, – love your sense of humour. 1. Was Shorten genuine in his concerns ? 2. Would he gut negative gearing & capital gains tax if he were in ? I seriously doubt it – but it is the correct thing to do. And the only one that will be laughing at the fire Real Estate Fire Sale – will be cashed up International Interests who will OWN TERRA FIRMA AUSTRALIA. The streets that we walk on – ha, ha, ha. Monopoly on everything. The pharmaceuticals is a billion dollar industry where money goes into these ministers coffers. They cannot jeopardise their business from a free drug which threatens their billion dollar industry. Let alone Malcolm Turnbulls wife who has shares in one of the big pharmas. One day more people will learn who the real criminals are. Also, these people don’t want people to get better. They don’t want a cure they want people sick so they can treat them for the rest of their life. That makes more money. The Australian Government are not SMART ENOUGH to run a simple chook raffle in the driveway of St Pauls Cathedral – Cnr. Flinders & Swanson ST Melb, Vic. Australia. Maybe Malcolm Turnbull gets his direction from somewhere closer to home, if your home is Melbourne. What do you mean “if your home is Melbourne” ? Never – it could not be coming from – have you seen Our Poor Daniel – ! * The Most Brilliant Economist Australia Has Ever Known – Paul Keating – as mainstream media wrote him up to be at the time – AND – his side kick The Silver Bullet Bob Hawk – RAN AMOK – fueled by the high of – MAKING IT – into high society – & gave away over a million Australian jobs to the Asia Pacific Region – our jobs – bread & butter snatched away from the tables of honest & hard working Australians. It was Great Britain who shone & profited for the generosity of that assault on us & not Australia or Keating. Jack Boots Johnny Howard & the Mrs. – with invitation to dine with Her Gracious & Majestic Madam – in jacket pocket – had their driver drop them off at the Servant’s Entrance of Buckingham Palace – how’s that for knowing where you belong in the scheme of things. AND HE WAS PAYING FOR DINNER – from the Australian Public Purse mind – too anally retentive to for out from his own pocket. I find it hard to believe that “they’ have the capacity .. dear. Some games are not for the faint of heart – are they. Hmm… Aussies can\’t get medical marijane??? Can it be that the stodgy Ohioans will have it first… They are on the verge, should be practically momentary as the controllers have already assigned those lucrative contracts for making quality mj.. so where is the comparable bunch of entrepreneurs in Aussie land so that people can be assured their MD won\’t screw up and use some rotten black market stuff like Dr Pot supposedly got trapped into in a crunch to help those 2 women with ovarian cancer??? That control of manufacturing is big here, why not by this Doc Pot? ?